Microsoft's Xbox One has had a pretty rough time in China. Despite good early sales, the system is having problems, and now with the looming PlayStation 4, Microsoft and its retail vendors have resorted to dropping the price of the console. According to Sina.com's gaming channel, Microsoft has dropped the price of the Xbox One console with Kinect and the Xbox One without Kinect by 500 RMB ($80). The Original launch prices for the Xbox One in China were 4,299 RMB for a special day one launch unit with Kinect and 3,699 RMB without. The consoles launched with two free games. 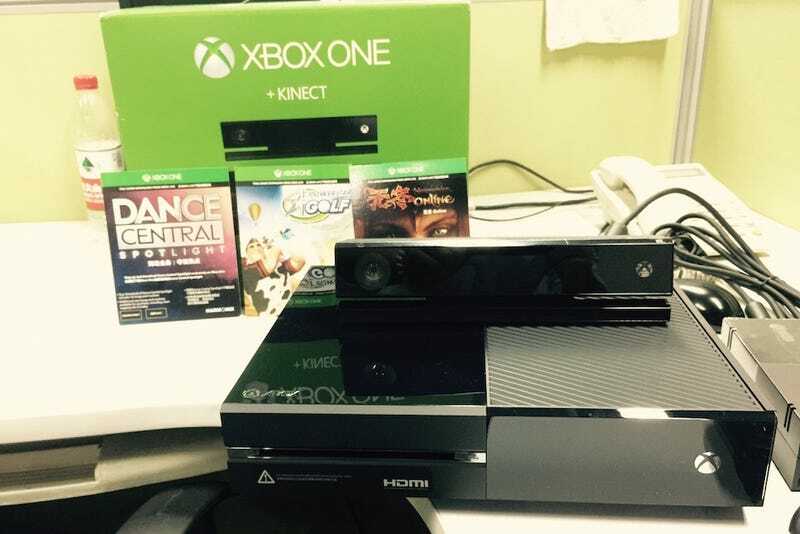 The new prices for the Xbox One in China are 3,799 RMB with Kinect and 3,199 RMB without. The day one edition is still priced at 4,299. The price cut has been reflected on Microsoft's official JD.com sales site and various other retailers in China. Some individual sellers have even lowered the price of the Xbox to match the PlayStation. The price cut comes right off the heel's of Sony's own PlayStation announcement in China. Similar to when it launched in the US, the PlayStation has a lower price point, starting at 2899 RMB. Like the Xbox, Sony is reportedly planning some kind of gaming promotion to work into the launch. Sina's writer opines that the Xbox One's launch price in China was way too high. The Xbox One in China had strong sales initially, reportedly selling 100,000 units within the first week. However, the system soon hit a snag with delayed video streaming services and a lack of gaming content. Sony's own PlayStation announcement last week focused purely on the games, and while anticipation is high, many Chinese netizens are skeptical of the console's chances since many of the shown games were very mobile-game-like. In this writer's humble opinion, the Xbox and PlayStation should both do well in China. Expanding the world of gaming is a good thing. That said, and please don't fanboy out on me, I think the PlayStation 4 will sell better in China—during Sony's Thursday press conference, they announced that they would be bringing the Final Fantasy X and X-2 remasters and Dynasty Warriors to China. The room exploded when those games were announced.